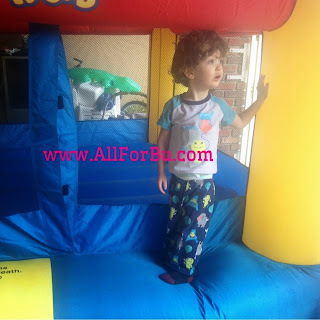 3) I just tried to trick him into accidentally "telling" me he wanted to stay inside, but he immediately caught on and appropriately gestured "yes" and "no" to end up in the bounce house. He's showing me that he understands most things he hears, and he's just been waiting for a way to reply to us. I can't believe how far my guy has come, and I'm so excited to see what he's up to a year from now.